The project, located in North-Central BC, is estimated to have a pre-tax net present value of C$56.6 million. 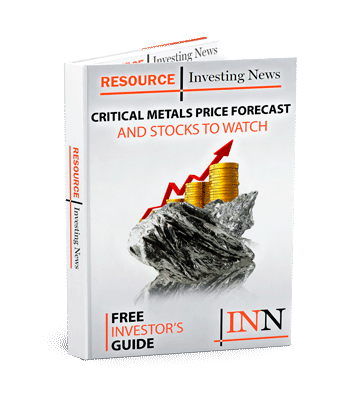 Canadian junior miner Deer Horn Capital (CSE:DHC) has released the results of a preliminary economic assessment (PEA) for its Deer Horn gold–silver-tellurium polymetallic project. The asset, located in North-Central BC, is estimated to have a pre-tax NPV of C$56.6 million. The positive PEA indicates an average metal grade of 3.73 grams per tonne (g/t) gold, 117.1 g/t silver and 118 parts per million tellurium, giving an open-pit mine life of nine years and 1.6 years until payback. Deer Horn’s flagship property on Canada’s west coast is considered the only known tellurium property with a NI 43-101 compliant silver-gold-tellurium resource. The company is focused on developing the property’s tellurium and silver assets as key components in renewable energy and future technologies. At present, Deer Horn is estimated to contain 67,000 kilograms of tellurium, 73,000 ounces of gold, 2.1 million ounces of silver, 1.7 million pounds of copper and 3.6 million pounds zinc. “Since the PEA was calculated on only 450 meters of a 2.4-kilometer-long mineralized system, we believe we can explore and expand the operation over time using mining cash flow and exploit the knowledge of the system that we gain as we mine,” continued Docherty. As mentioned, the PEA conducted on Deer Horn estimates a pre-tax NPV of C$56.6 million and an IRR of 56 percent, both at a 5-percent discount. After-tax figures show a NPV of C$36.5 million and IRR of 42 percent, also both at a 5-percent discount. Those figures were calculated using metals prices of US$1,300 per ounce for gold, US$17 per ounce for silver, US$100 per kilogram for tellurium, US$3 per pound for copper and US$1 per pound for zinc. In addition, the PEA shows that the deposit remains open to the west, east and down dip. It also suggests that Deer Horn engage in infill and tightly spaced step-out diamond drilling in order to both upgrade and expand the existing high-grade resource. “We plan to conduct infill drilling to upgrade as much of the inferred resources as we can. Previous drilling traced the vein’s strike length for at least 875 meters,” added Docherty. Moving forward, the company plans to initiate work towards a preliminary feasibility study later this year. Deer Horn’s share price was flat on Monday (June 11) at 12:00 p.m. EST, trading at C$0.40.